Join us for a great fundraising event! Don’t miss out on this awesome event! Bring the whole gang and enjoy the adorable animals, food and drink, carnival games, moon bounce, ice cream, crafts, beer and wine, a variety of vendors and more! Download an order form HERE and return to your School Principal. Proceeds from the 13th Annual Family Night benefit the Montessori Children’s House and Play & Learn Scholarship Funds, our tuition assistance programs for families facing financial difficulty. This event will take place rain or shine. No refunds of any kind will be given. 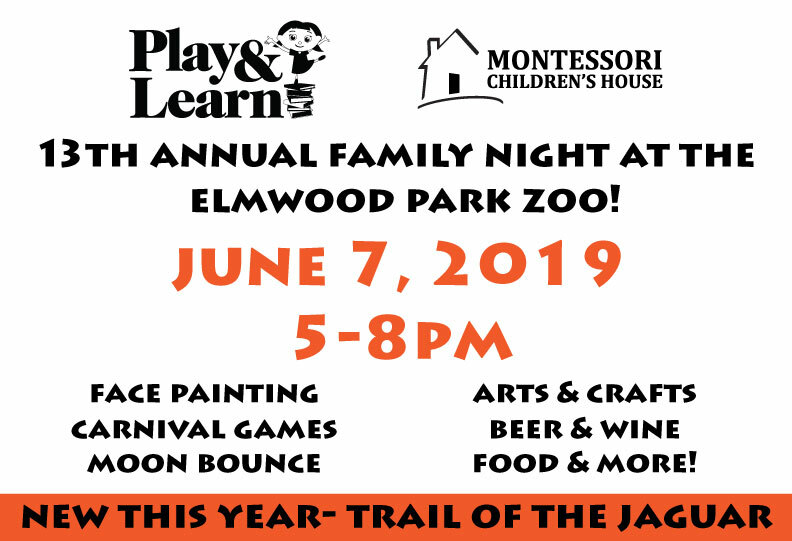 Elmwood Park Zoo memberships are not accepted for this event.